An international conference organized by Dr Yuval Harari (Ben-Gurion University of the Negev), to be held at the Israel Institute for Advanced Studies in Jerusalem. 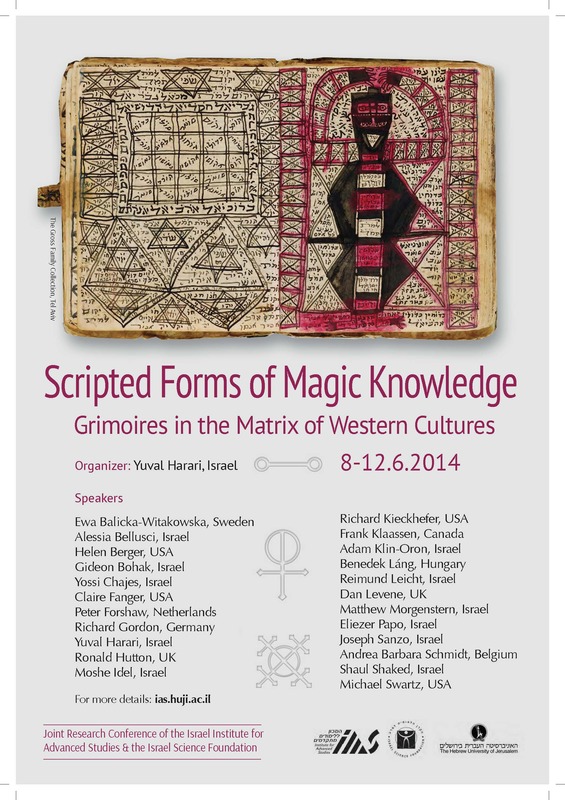 Scholars from around the world will come together for an intensive joint study of the phenomenon of grimoires in different cultural environments in the history of the West. 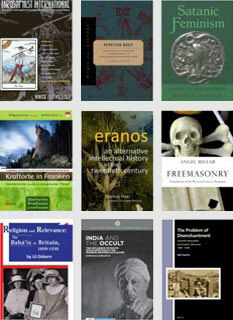 Books of magic from antiquity to our day will be at the focus of the conference and will be studied from various points of view: their types, patterns, contents and designs; their place between popular and learned knowledge; their role in the transmission of knowledge within and between religious-cultural communities; their evidence concerning emic approaches to magic, its boundaries and its relation to other fields of knowledge; their social and cultural contexts and so forth. 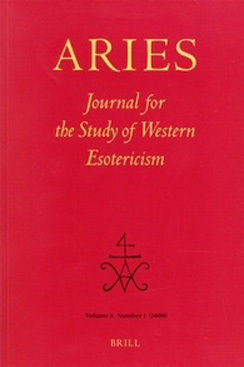 For the first time experts on magic texts and cultures in Antiquity, early and medieval Christianity, Judaism (past to present), Islam, the Renaissance, the modern West, and new Age movements will jointly discuss the special(? ), professional(?) genre/s(?) of scripted magic knowledge. Michael Swartz, How to Make an Ark: Introductions to Jewish Grimoires and the "Healing Event"
Ronald Hutton, Is there a Continuous Tradition of Magical Knowledge in Western Cultures?